The first award is Liebster Award, please read it here. 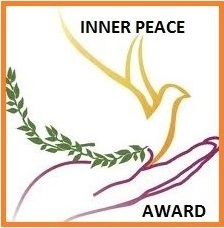 The below is on the second award, the Inner Peace Award. First and foremost, thanks Alix & Roxane from “Tails from Paris” for nominating me. I like their humourous comics! This is the second award after I have started blogging and the first award after I have upgraded my blog, it is really an honour. The only “rule” for the Inner Peace Award is that you write a short piece on why you are accepting it. The next step is to nominate other bloggers who deserve the award, the number of bloggers varies, it is all up to you. Why am I accepting the Inner Peace Award? “Inner peace” is a powerful word. I believe a writer or a blogger needs to have inner peace with himself / herself to be able to write good articles / posts. Now that I have been awarded the Inner Peace Award, I know that my effort in writing is recognized and appreciated. Thus, I am honoured to accept the Inner Peace Award, as a gratitude to Alix & Roxane for nominating me, and to my followers, my readers and my mini supporters for supporting me. The award comes at the right time when I have just upgraded my blog. I will work harder and better to write, hoping to inspire students and young adults in learning and adults in lifelong learning. I need inner peace. May inner peace be with me. May inner peace be with you too.